While this is the worst violence that nation has ever seen, we know all too well that this event is part of a global phenomenon of the spread of white supremacy that has its roots here in the United States of America. We pray every day that we can create a loving community of active solidarity in order to remain strong in the face of senseless acts of hatred in our communities here in California, and around the world. Targeting Muslims during prayer is heinous. We believe that actively seeking justice and embodying solidarity across all boundaries is a remedy to such acts. We understand what this means to Muslims, Jews, Sikhs, African Americans and LGBTQ individuals in our community who have been targeted by white supremacy in houses of worship, and in the midst of celebratory occasions, and as they pursue the tasks of life on a daily basis. It is our intention that in the face of this most recent attack on our community, we commit to our mission to build sanctuary for all who seek the safety of home. May we actively pursue love and peacebuilding in our communities, and seek comfort and support from each other as we go through another period of mourning. And may we find ways to stand with Muslim spouses, relatives, loved ones, friends, co-workers and Muslim community institutions. Let us act in ways that prevent further violence. Let us prepare ourselves to respond by actively holding accountable those who perpetuate racism and public harm, and show our love and our lived values in acts of kindness, humanity, and concern. 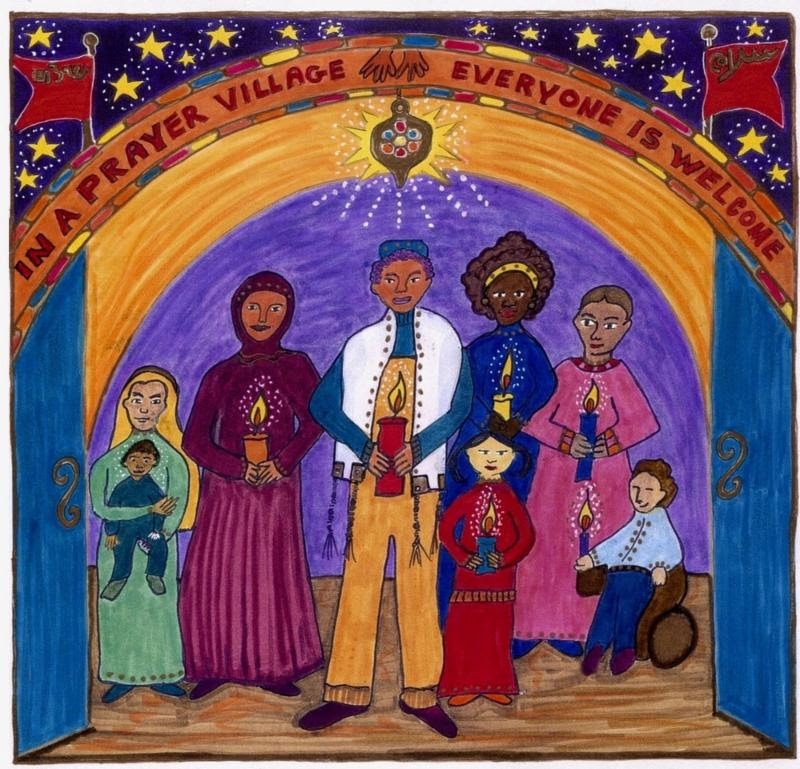 We have included this piece of art for you to print created by our Board Chair, Rabbi Lynn Gottlieb. It is a means to remember how beautiful our love is for one another. All of us or none of us. As your friends and allies, we commit and invite others to join us in ending Islamophobia in our neighborhoods and the halls of Congress. We commit to supporting the No Ban Act that will repeal the Muslim ban and stop discrimination from being enacted in the future. 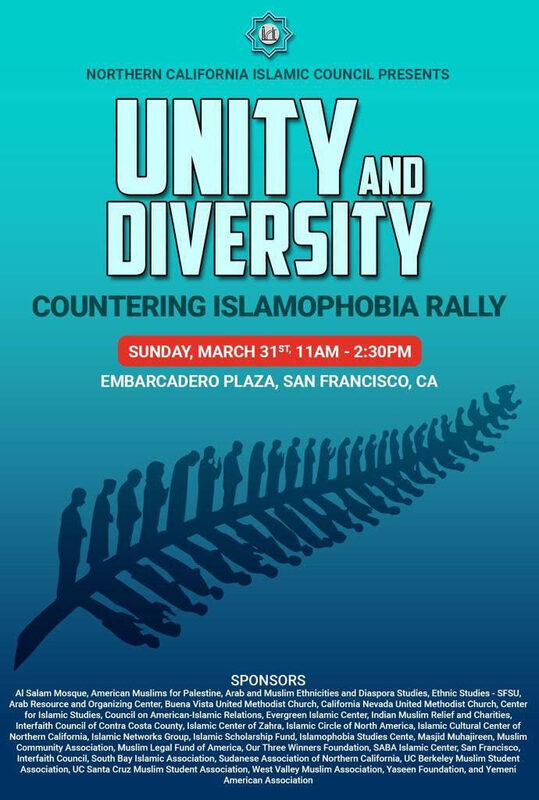 We hope to see you at community events like the one taking place in San Francisco this Sunday (see below).